Welcome to the VR Austin Jam! Come get your hands on cutting-edge technology, collaborate with some of the biggest names in VR, and show off your creations at the after-party. 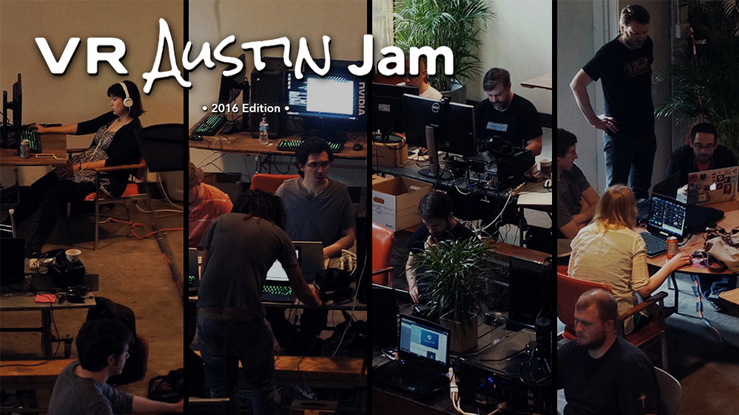 Building on the success of last year's Room-Scale VR Jam, VR Austin is hosting the 2016 VR Austin Jam. Join our creative community of virtual reality developers in beautiful Austin, Texas for three days of hard work and hard partying! This year we were pleased to have over 75 jammers at the VR Austin Jam along with our incredible lineup of sponsors. We've opened this itch.io portal for jammers to upload their projects to share with the world. All projects were prototyped during this year's jam, but teams are free to submit updated builds here with fixes that may have been completed after the weekend of November 12-13. Consider this your one-stop shop for VR Austin Jam 2016 demos. A VR experiment created for the VR Austin Jam 2016. Hunt animals in an open landscape with your trusty bow & arrow.